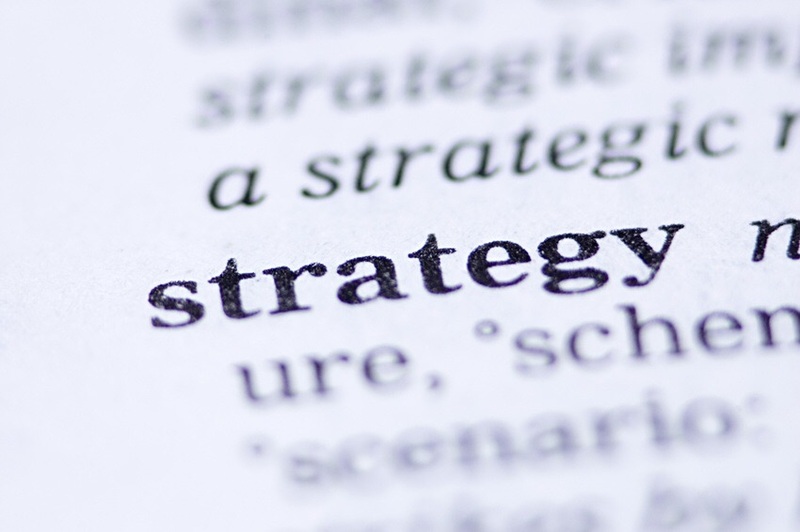 Maybe it is a pet-peeve, but one of the things that bugs me the most at work is the misuse of the word strategy. As per Merriam-Websters, the short definition of strategy is a careful plan or method for achieving a particular goal usually over a long period of time. In my experience, people in a business setting throw this word around in ways that isn’t helpful. The misuse of the term drives confusion within their working team. Here are five of the ways I heard this week alone, where strategy was used in a way that wasn’t what the person speaking intended. 1. “You need to be more strategic.” This week I heard one of my managers give this feedback about their direct report. Having been on both sides of this conversation, I find this one of the most confusing pieces of feedback that you can give an individual. To have a skill in strategy, my perspective is that it means you can develop and execute plans that aid the achievement of your long-term goals. This leader didn’t mean that, although that may have been valide feedback as well. What they truly meant was, this person doesn’t think big picture and thus the work that they are doing isn’t aligned with our strategy. Be confusing the words, how is the individual on the other side of the feedback expected to know what to work on to improve the skill? 2. “We need a strategy.” This week at work, I heard this phrase used in a way that wasn’t clear. I hear this as “we need a careful plan to achieve our goal.” The problem is that the individual wasn’t talking about the plan, they were talking about the goal or the objective. If you mean, “we need a goal” then say it. If you ask for a strategy, you are asking for a plan to get the goal accomplished. 3. “That is not strategically aligned.” I love this statement as long as it is used with accuracy. It truly helps an organization stay focused on the plan that they have created to achieve their goals. That said, I heard someone use this during this week at work when what they were really intending to say was, “I am not aligned with our strategic plan.” A small difference in words, but if they would have said this instead we could have more easily discussed and resolved that problem. 4. “We need to be more strategic and less tactical.” If you look up the word strategic in Merriam-Webster, a synonym is tactical. All of these words come from military history. Tactics are specific steps taken to achieve a military strategy. Usually when people use this phrase in business, they mean that the broader plan isn’t clear but we are executing a lot of specifics. Often times, saying this is an attempt to pull a team out of the specifics for a moment in order to reasses the broader plan to ensure that it is the right plan to meet the goals of the organization. 5. “Our goals need to be more strategic.” Goals or objectives are where you are aiming. By definition, goals cannot be strategic, as the strategy is the plan it takes to achieve these goals. Often times when someone says this phrase, what they are truly saying is that they don’t believe that the current goals are the right goals for the organization. If that is what you mean, just say it. None of these ways of using the word strategy or strategic are bad, as long as when said, it is what you truly mean. Let’s not use the word to cover up what we truly mean and our organizations will continue to be more productive than they are without effective clarity.